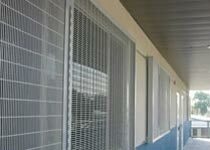 The best of iron rods is put to use for making these Welded Fencing Panels. These Welded Fencing Panels are welded prior to galvanization and coating the tops with powder and primers. Such a coating helps these Welded Fencing Panels to withstand corrosion due to ultraviolet radiation. 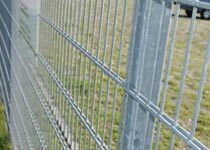 These Welded Fencing Panels are used for making Anti-intruding Boundaries. Fastenings : Both of the posts and panels are jointed together with rivets or bolts, using the special steel clamps, steel flat bar, or all nuts that are self-locking. Customized solutions are also available. Stand and Finish : Galvanized / Polyester coated green (other standard colors available on request).